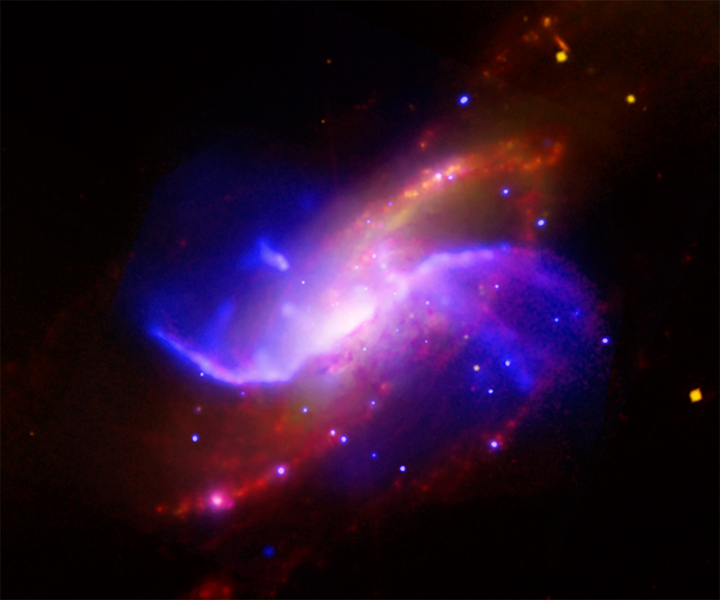 Explanation: Better known as M106, bright spiral galaxy NGC 4258 is about 30 thousand light years across and 21 million light years away toward the northern constellation Canes Venatici. The yellow and red hues in this composite image show the galaxy's sweeping spiral arms as seen in visible and infrared light. But x-ray and radio data (blue and purple) reveal two extra spiral arms -- arms that don't align with the more familiar tracers of stars, gas, and dust. In fact, an analysis of the x-ray and radio data suggests that the anamolous arms are composed of material heated by shock waves. 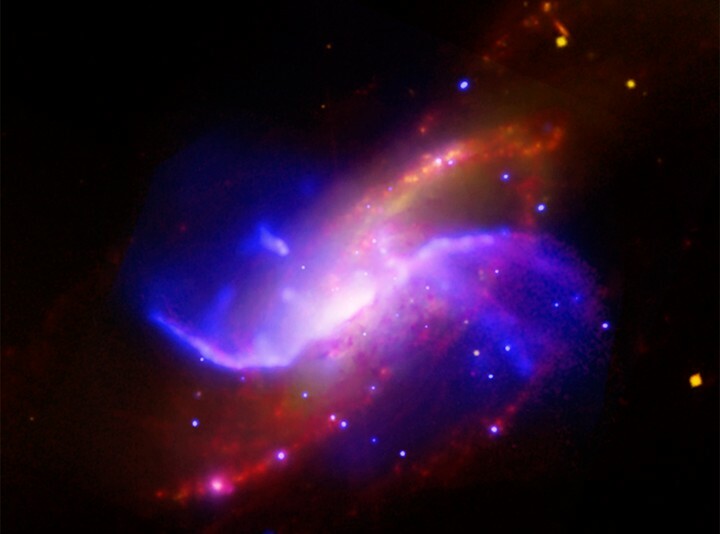 Detected at radio wavelengths, powerful jets originating in the galaxy's core likely drive the shocks into the disk of NGC 4258.